An official teaser images of the Sony 'Honami' cameraphone has showed up rather prematurely, reconfirming the date of the phone's unveil and hinting of a potential purple version. The photo itself doesn't reveal almost anything regarding the smartphone itself. 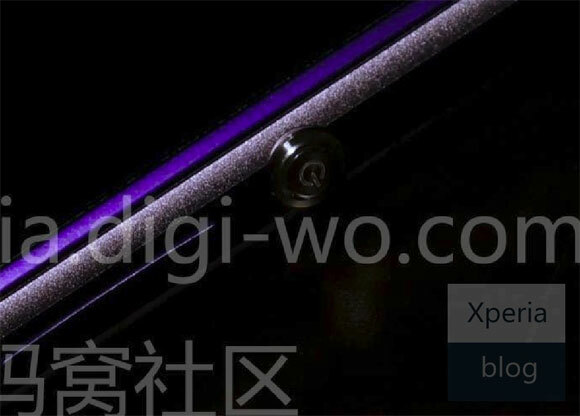 The guys over at Digi-Wo who have a larger resolution version of it have zoomed in on it to discover the signature Xperia lock/power button. The side edges of the phone are also more rounded than the Z, which should help handling. In any case, the leaked photos of the Honami give us a better idea of its looks than the teaser ever will. The Sony Xperia Honami is rumored to sport a 5-inch Full HD Triluminos display with the X-reality engine. The smartphone is said to feature a 2.2 GHz quad-core Snapdragon 800 processor along with 2GB of RAM. The smartphone's key selling points is its 20.7 megapixel camera with Sony G-lens and BIONZ image processor. User memory is 16GB and can be expanded via the microSD card slot. 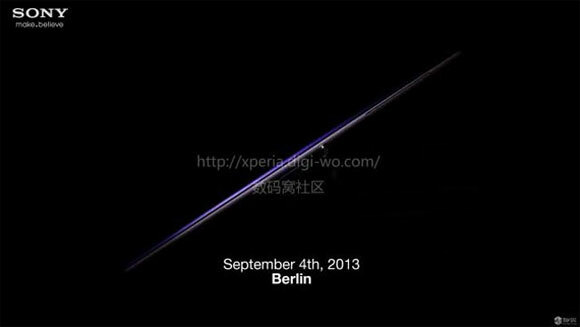 We'll find out more about the phone in less than a month at its announcement event in Berlin on September 4.